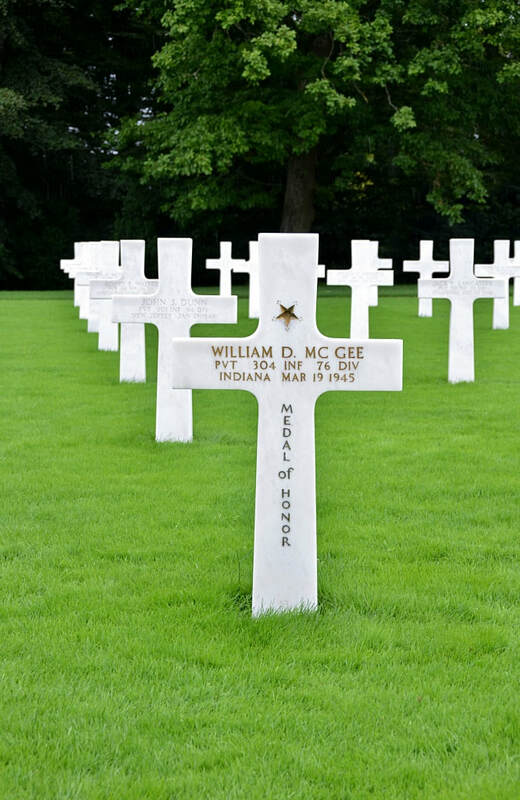 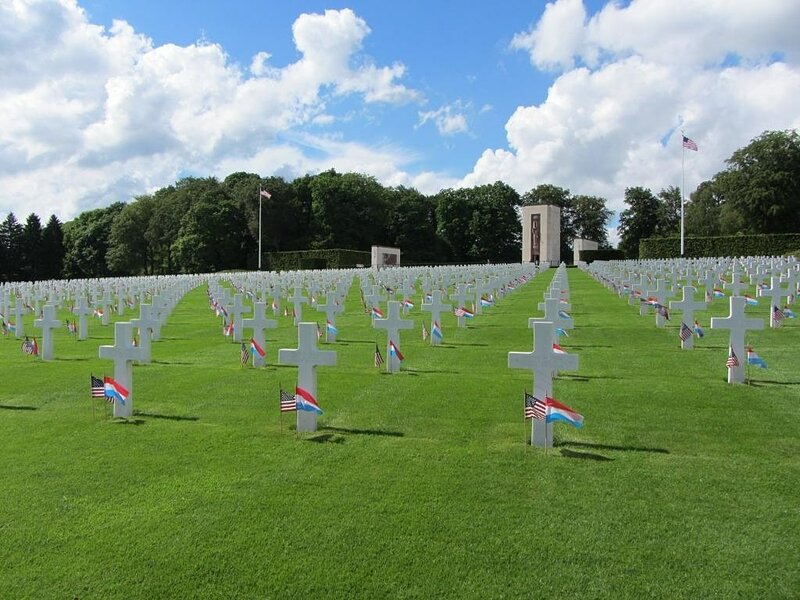 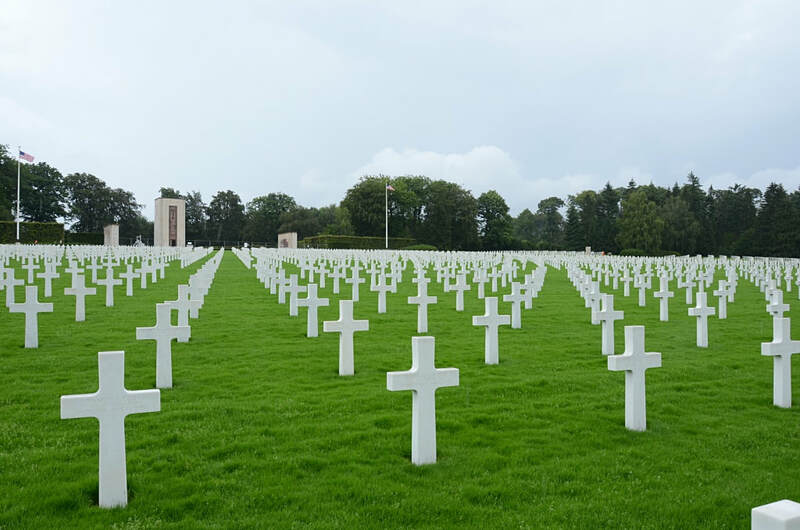 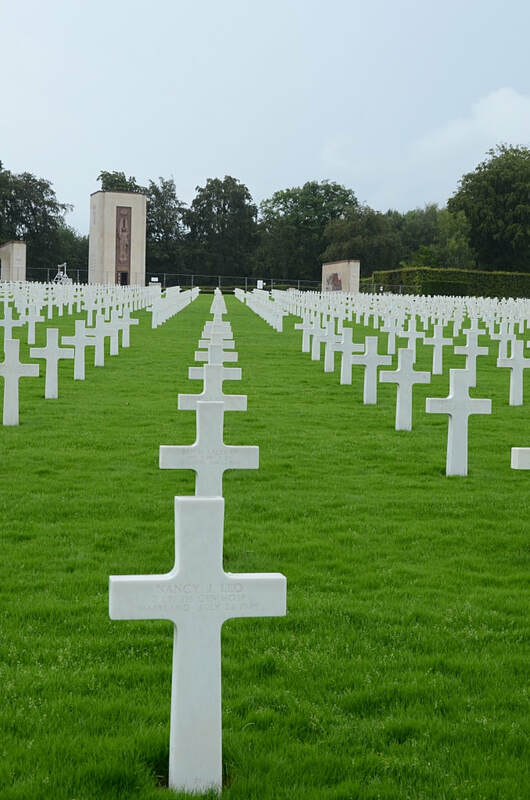 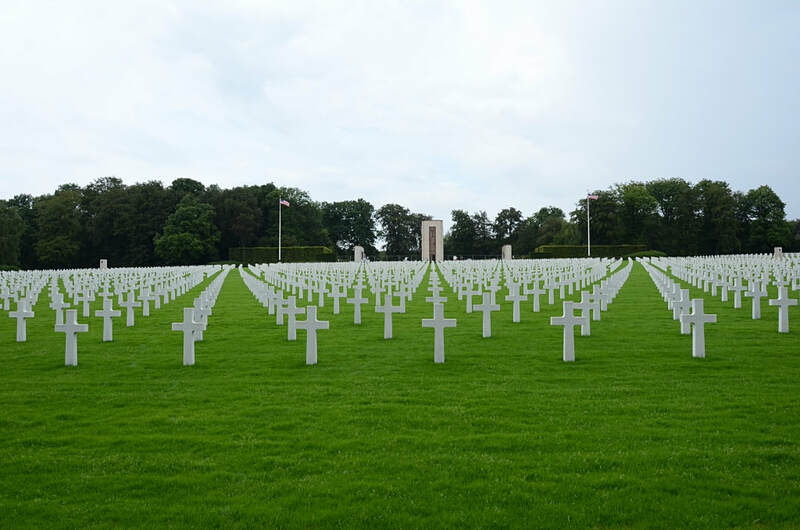 Luxembourg American Cemetery is located near the town of Hamm, three miles east of Luxembourg City centre. 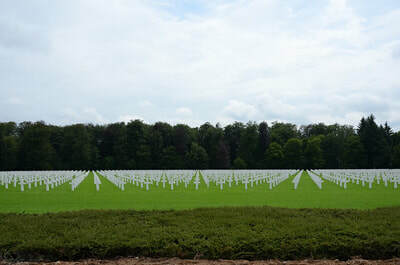 The cemetery is reached via E25/E44 highways, exit #7 following the “cimetières militaires” (Military Cemeteries) signs. 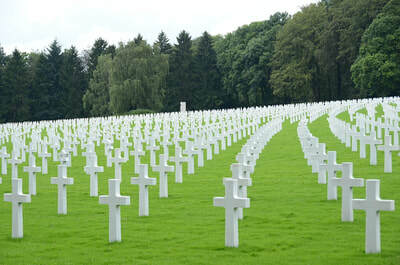 Train service is available to and from most European destinations. Travel via high speed train (TGV) from Paris to Luxembourg is about two hours. 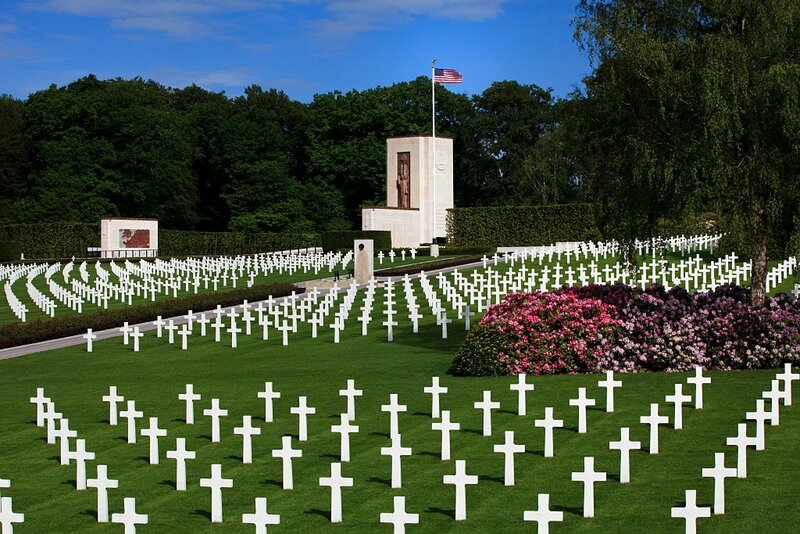 Taxis are available from the train station. Luxembourg airport is approximately three miles northeast of the cemetery. Taxis are available from the airport. 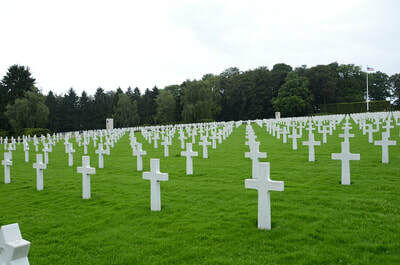 The nearest city bus stop (Bus #15) is the the second stop past the Hamm church, approximately a one mile walk from the cemetery; the path is well marked with signs. 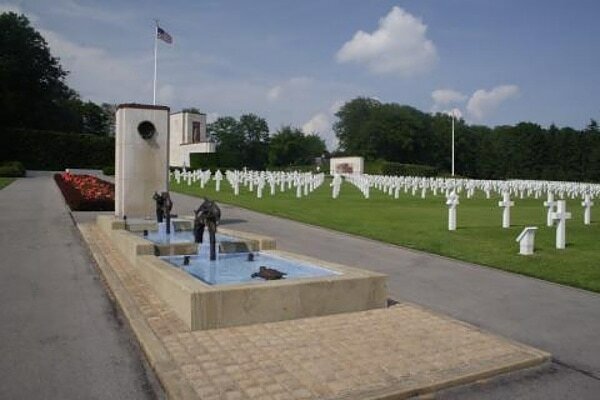 The cemetery was established on December 29, 1944 by the 609th Quartermaster Company of the U.S. Third Army while Allied Forces were stemming the enemy's desperate Ardennes Offensive, one of the critical battles of World War II.The city of Luxembourg served as headquarters for Gen. George S. Patton's U.S. Third Army. 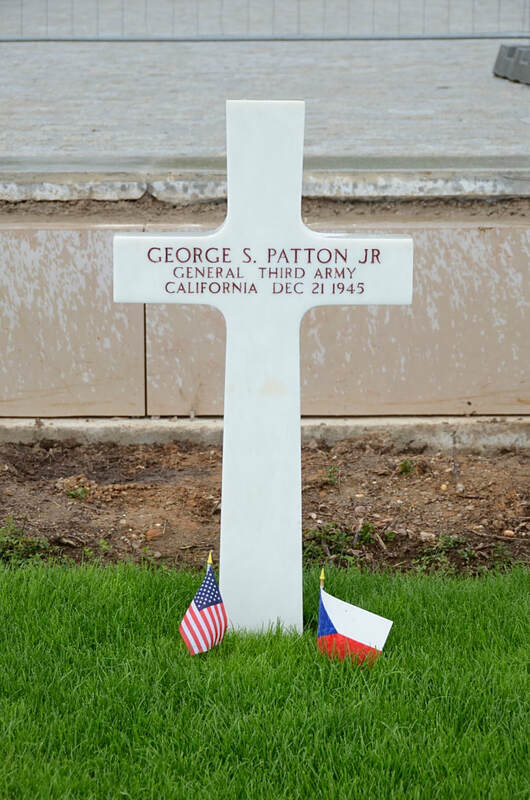 Gen. Patton is buried here. 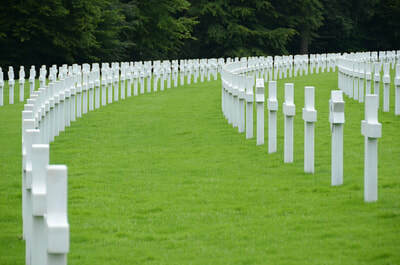 The cemetery consists of 17 acres of manicured lawn surrounded by 33.5 acres of woods. Entering through the gates, the visitor will see the impressive memorial chapel encompassed by a stone terrace directly in front of them. 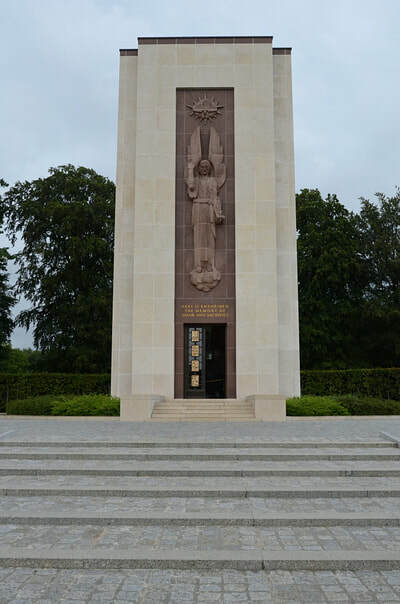 The chapel includes massive bronze doors embellished with gold leaf cartouches depicting military “virtues”, a sparkling mosaic ceiling and a colourful stained glass window showcasing the Army insignias representing the men and woman that rest in the cemetery. 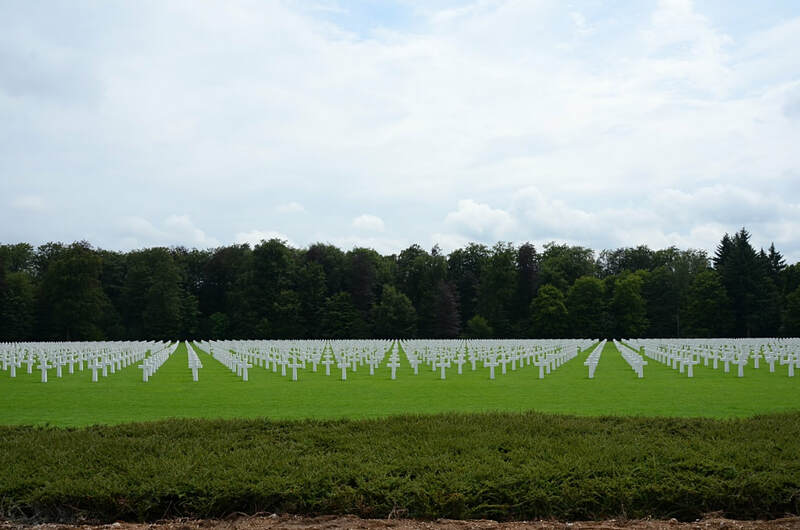 On the lower level of the terrace, two pylons face each other across a quote by Eisenhower about the sacrifice of military members. 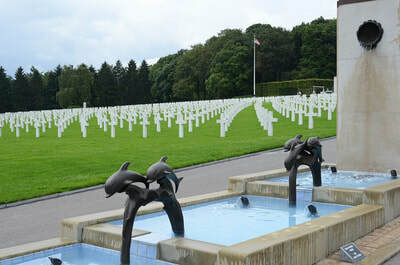 The pylons display the battle movements in the western European Operations (on the right) and those related to the Battle of the Bulge (on the left). 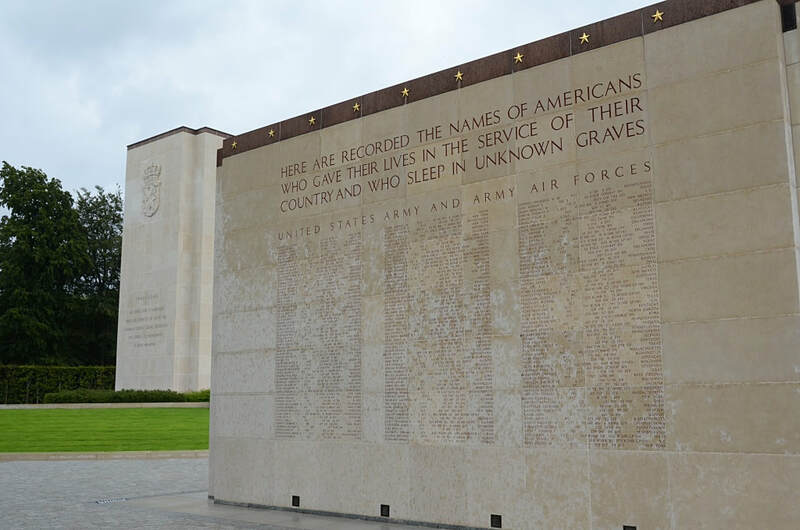 On the reverse of the maps, 371 names of those missing in action are inscribed. 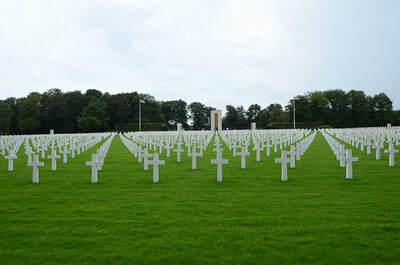 Eighteen bronze rosettes identify men who have been recovered since the inscriptions were made and now rest in known graves. 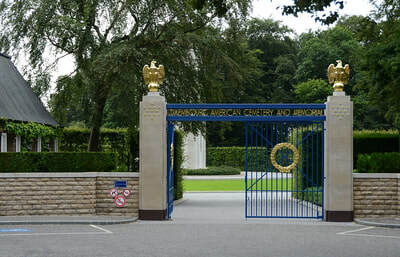 The visitor centre, where information and brochures are attainable, is to the left as the visitor enters the front gates. 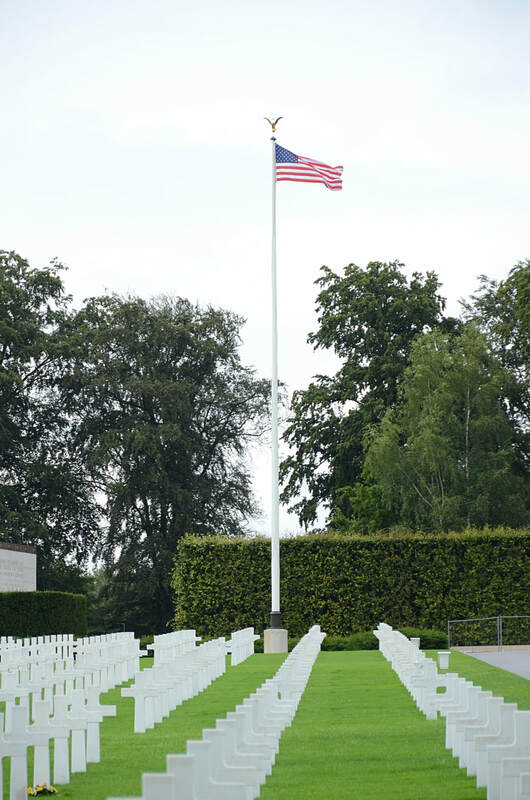 Sloping away from the terrace is the cemetery where 5076 service members lie, many of whom lost their lives in the Battle of the Bulge and in the advance to the Rhine River. The design is a softly curving fan shape consisting of nine sections interspersed with four fountains, majestic trees, and expansive rose and rhododendron beds. 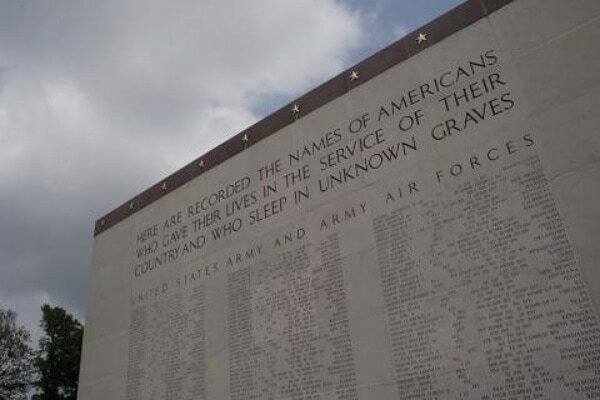 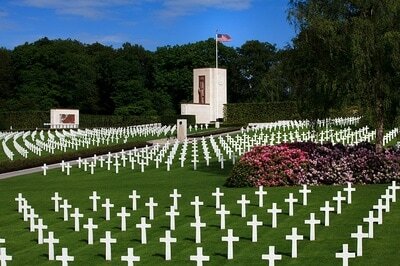 It is a befittingly tranquil final resting place for these Americans who gave their all. Unless a copyright is indicated information on this ABMC web site is in the public domain and may be copied and distributed without permission. 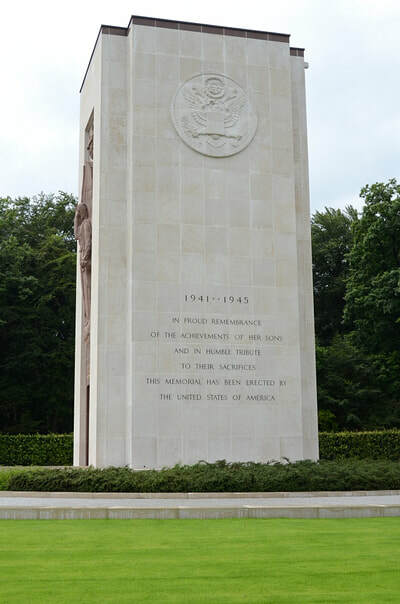 Citation of the ABMC as source of the information is appreciated.